Looking for a Romantic Getaway This Winter? Nothing says romance more than getting whisked away for a weekend escape at the beach! Whether you seek reprieve from feet upon feet of snow, want a special Valentine’s Day getaway, or are simply looking for a fun vacation, Daytona Beach is your answer. And with last-minute accommodations available, in addition to easy, hassle-free travel routes by road or air, it’s not too late to plan your romantic escape! In Daytona Beach, you can take the day at whatever pace you’d like; start slowly with a special sunrise stroll together, or indulge in a sleep-in before gearing up for an adventure. Either way, kick-start your day with the most important meal of the day: breakfast. Check out Crabby Joe’s for breakfast right over the Atlantic, or head over to the Cracked Egg Diner for some of the best traditional breakfast food in town. 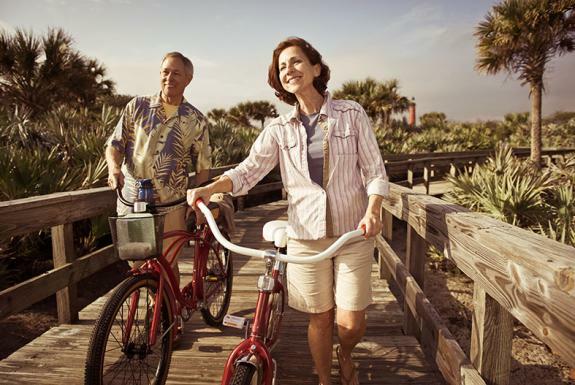 Make new memories together as you experience brand-new hobbies and favorite activities. Get a close-up look at marine life including dolphins, birds and even manatees with a paddleboard or kayak adventure. It’s an eco-friendly and romantic way for the two of you to explore the area’s vast water systems. Or, take the plunge on trying something new by taking the reigns of a jet ski. If you’re really wanting to share an adrenaline rush, book some time in the driver’s seat at NASCAR Racing Experience. Of course, tandem parasailing will also leave you and your date flying on cloud nine. If you’re looking to take in a traditional dinner-and-a-show date on your romantic weekend, Daytona Beach has lots of options for you. Treat yourselves to dinner somewhere special, such as critically-acclaimed restaurant The Cellar or at the more casual beachfront bar and grill Racing’s North Turn. Afterward, hit any one of the local theatres for live music, special performances and local productions. Afterward, go for a nightcap at a local pub or quiet wine bar — you have lots of options to choose from. 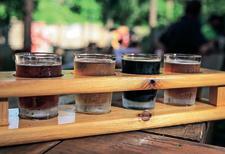 If you really want to get a taste of the area, hit the Daytona Beach Ale Trail. You’ll enjoy craft brews and local favorites by following this trail of tasty drink spots. Top off your trip with a couples massage at any one of the area spas — both of you will return home feeling rejuvenated and ready to face the real world. In fact, any escape to the beach — even a short one — can leave you feeling refreshed and renewed. Consider it an investment in the relationship, and allow yourselves the opportunity to simply get away from it all. 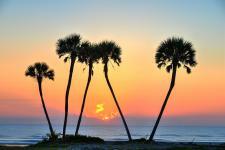 And in Daytona Beach, the hassle-free travel planning makes your decision to take a trip together a no-brainer. Get started planning your trip today, and be on the beach by this Valentine’s Day!